1 Who is Gloria Loring? 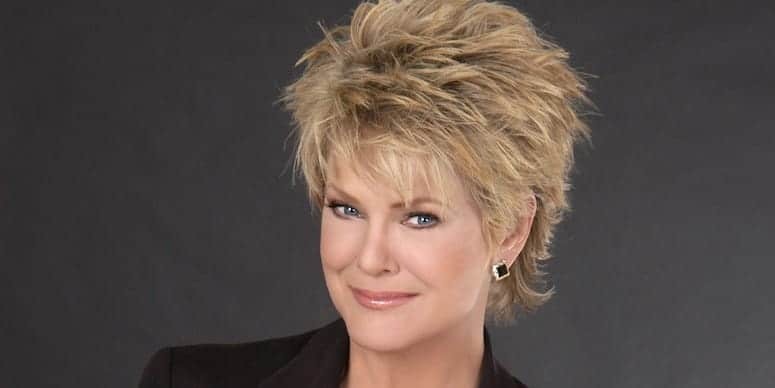 Gloria Jean Goff was born on 10 December 1946, in New York City, USA, and as Gloria Loring is a singer as well as an actress, probably best known for her role as Liz Chandler in the soap opera “Days of Our Lives”, a role which she held for five years from 1980. How rich is Gloria Loring? As of late-2018, sources estimate a net worth that is at $20 million, mostly earned through a successful career in acting, but she’s also earned a significant amount thanks to her music career. As she continues her endeavors, it is expected that her wealth will also continue to increase. Gloria’s mother was a singer, while her father was a professional trumpet player who worked as a consultant for the restaurant industry as well. Growing up, she was exposed a lot to the music industry, and developed a love for it, especially as her mother also taught her how to sing. At the age of 14, she began a music career with the folk group called Those Four. Eventually, she would release her first album through MGM Records entitled “Gloria Loring” – there is no recorded reason for her adoption of this name – which included cover versions of songs such as “New World in the Morning” by Roger Whittaker, and “Everybody’s Talkin’” by Harry Nilsson. None of her songs charted, but her increased exposure led her to be cast in various acting roles in the 1960s, including in “The Carol Burnett Show”. Acting work continued through the 1970s, though mainly in support roles before she was signed to Atco Records. She then released the single entitled “Brooklyn” under the name Cody Jameson, and the song became her first charting single. In 1977, Loring was invited to Toronto to become a special guest in the weekly program entitled “The Bobby Vinton Show”, in which she performed two songs including a duet with Vinton entitled “Breaking Up Is Hard to Do”. The Canadian series was syndicated to the US as well. Two years later, she composed theme songs to the series’ “The Facts of Life” and “Diff’rent Strokes” alongside Alan Thicke, which featured on the shows throughout their entire runs. In 1980, she joined the cast of “Days of Our Lives”, just a year after her son was diagnosed with Type 1 diabetes. During her run with the soap opera, she got the idea to self-publish the cookbook entitled “Days of Our Lives Celebrity Cookbook”, to help raise money for diabetes research. She published two volumes of the book, and also recorded “A Shot in the Dark” which would help raise $1 million for the Juvenile Diabetes Research Foundation (JDRF). As a result, she continued writing books successfully, in “Parenting a Child with Diabetes”, “Living with Type 2 Diabetes: Moving Past the Fear”, and “Kids, Food and Diabetes”. Later in her career, she continued to stay active in promoting awareness and research of diabetes. When Gloria joined “Days of Our Lives” the show was going through a rough period due to numerous veteran cast members leaving the show, and a string of new faces alienating fans. She became one of the nine characters introduced in the season, and her character Liz quickly earned a fan following – she was the only one to have a contract renewed. In 1986, she released the song “Friends and Lovers” alongside Carl Anderson, which hit top spots in various charts. Her performance of the song led to a strong mail response too, actually the largest in NBC daytime history, though the official release of the song was delayed due to legal complications. After leaving the soap opera, her media appearances became sporadic, but she did a lot of theatrical work over the next few years. and she tried her hand at a recording career once more, but never managed to replicate the success of “Friends and Lovers”. In recent years, she’s served as a spokesperson to JDRF, and also released the book entitled “Coincidence Is God’s ,Way of Remaining Anonymous” in 2012. For her personal life, it is known that Loring married actor Alan Thicke in 1970. and they had two children together, one of whom is singer Robin Thicke. They divorced in 1986, and two years later she married actor Christopher Beaumont, but another divorce followed, in 1993. She has now been married production designer Rene Lagler since 1994, having already known each other for a long time. Thanks to her various philanthropic works, she has been awarded a Lifetime Commitment Award from JDRF, and is also a recipient of the Woman of Achievement Award from the Miss America Organization.